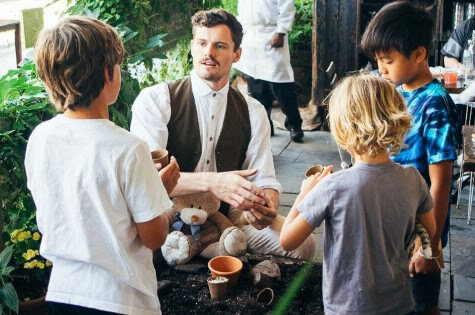 The Children’s Potions & Planting Tea Party invites boys and girls ages 5-10, with their parents and favorite stuffed animal or teddy bear, to a monthly tea at the city rooftop garden Gallow Green at The McKittrick Hotel. Families are transported to the whimsical world of The McKittrick while immersed in a secret garden overgrown with Sage, Trumpet Vines, Wisteria, Dogwood Trees and blooming Pansies, Black-eyed Susans and Geraniums. During the party, kids learn about plants and gardening from the rooftop’s residents plus create magic potions with special powers to take home. 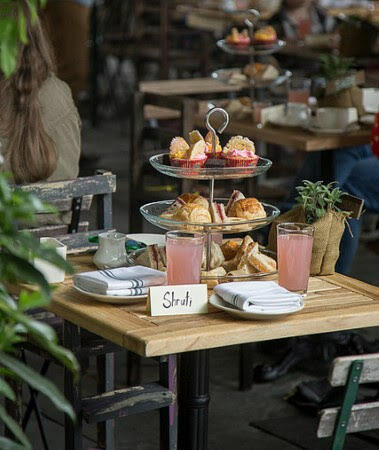 Admission includes a traditional high tea platter complete with Mini Sandwiches, Sausage Rolls, Cakes and Tarts, with refreshing Pink Lemonade and hands-on lessons in potions and planting. Tickets are $25/person for this magical family experience. While all adults and young guests must have a reservation, dolls and teddy bear +1’s may enter free of charge and receive a miniature seat and personalized gift. For adults only, Gallow Green’s seasonal cocktails are also available to enjoy. The McKittrick Hotel "Children’s Potions & Planting Tea Party" takes place on May 12, June 9, July 21 and August 4 from 10-11:30am. Gallow Green is located in The McKittrick Hotel at 542 West 27th Street, New York, NY 10001. Reservations are available online at www.mckittrickhotel.com or by calling 212-564-1662.